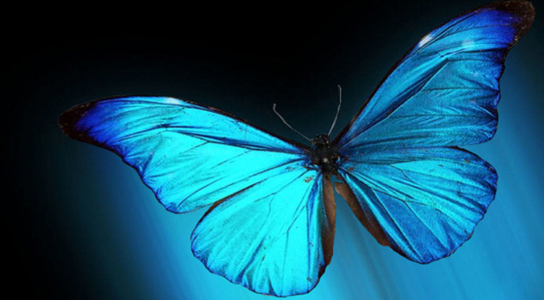 Researchers studying the iridescent properties of butterfly wings think that this could help engineers develop temperature sensors that are smaller and faster. This technology could work without the need for cumbersome cooling techniques, something that has always been needed in thermal imaging and medical diagnostics. The team lead by Radislav Potyrailo published their findings in the journal Nature Photonics. Most sensitive thermal imagers necessitate cooling, which are large and based on liquid-helium refrigeration, in order to give accurate readings. 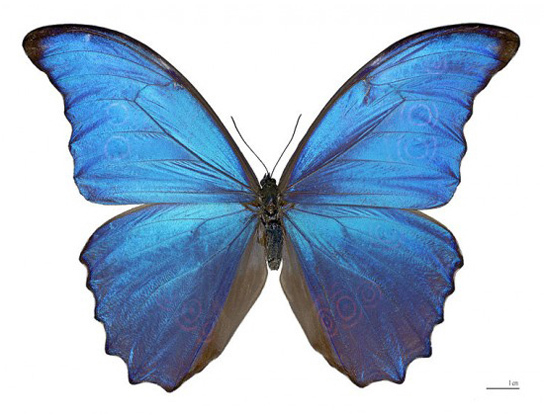 Potyrailo and his colleagues at the General Electric Global Research Center at the University of Albany in New York have shown that a material inspired by the wings of a butterfly from the genus Morpho, which are covered in scales that reflect light at some wavelengths and absorb it at others, could help. The iridescence isn’t yet completely understood, but it’s known that as the wing heats up, the intensity of different wavelengths of visible radiation reflected changes slightly, altering the color of the wing. The team used this to construct a synthetic temperature sensor to see if it would have a significant advantage over current sensors. The wings of butterflies are made out of chitin, a natural polymer, which can, unlike metals, cool down quickly without heat sinks. Then, they coated the material with carbon nanotubes, which also have excellent thermal conductivity, to enhance its ability to absorb infrared radiation. This provided them with a molecular heat sink. Researchers still need to find a way to produce nanostructured chitin synthetically before they can produce a viable sensor. Be the first to comment on "Iridescent Butterfly Wing Properties to Lead to Better Thermal Imaging Cameras"